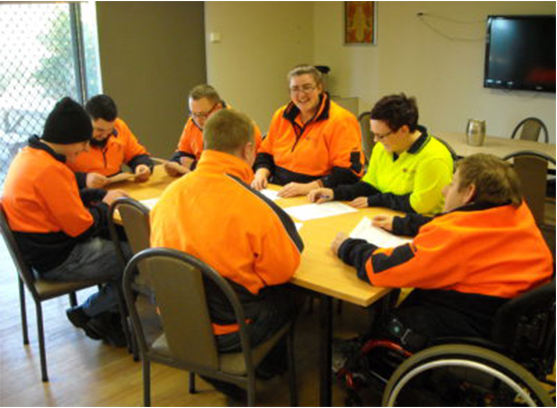 Supported Employment Services (SES) assesses your work goals and provides on-the-job training and support. Our role is to ensure tasks suit your needs and suggest modifications to the workplace, assist people to stay at work and to complete a variety of tasks. Wage assessments are conducted every year and as a result of this assessment, training can be identified to give you an opportunity to increase your wage. 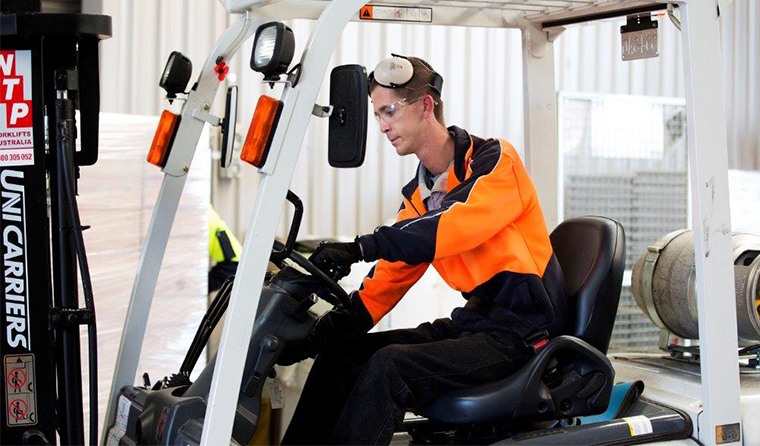 SES will support you to manage the demands of the job and understand what is required in a workplace. We build your skills in a safe environment. 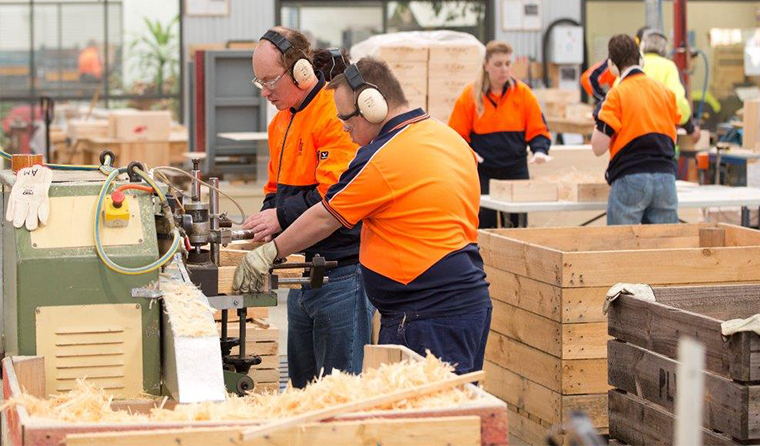 SES completes extensive worksite inductions for all supported employees on commencement of their work, work trial or work experience placement. Training in areas such as WHS and manual handling are conducted on an annual basis. In-house training is conducted on specific machinery/equipment as identified through a yearly Individual Development Plan. Not all identified goals are work focused. We can also support you to develop personal skills or link with other service providers in areas such as numeracy & literacy, volunteering in the community or other nationally accredited courses. WHS isn’t all about machinery and equipment, it also takes into account the importance of your physical & mental health and overall wellbeing. This includes bi-annual hearing checks, anti-bullying/harassment in the workplace training and looking after ourselves, our mates and work colleagues. We have a strong focus on rotating tasks throughout the day to avoid the risk of injury through repetition or lack of concentration. This also helps you to maintain your skills after training. 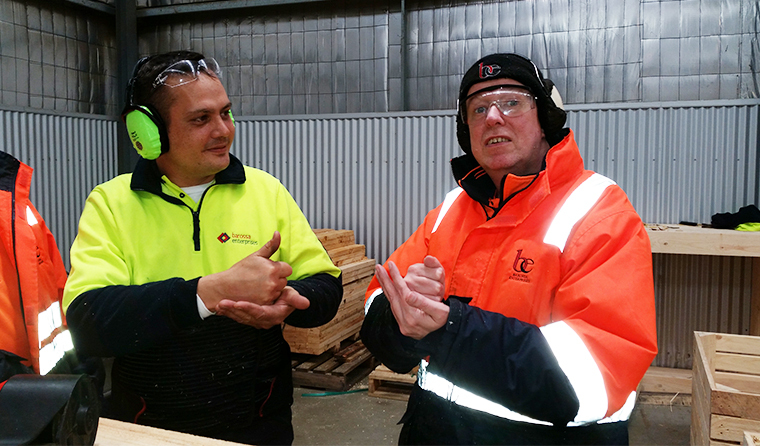 Through monthly work site meetings supported employees are able to have a say on their working conditions and provide valuable feedback to the management and board on any suggestions discussed at the meeting. The meetings cover topics such as WHS, Disability Standards, any upcoming Social club activities and are forums for supported employees to conduct voting for representatives on various committees, such as WHS, Social Club and Employee reps.
Our canteen operates 5 days a week, offering healthy eating choices each day with the menu changing from week to week. The canteen gives opportunity for people to upskill through various accredited courses recognized throughout the hospitality sector, such as ‘Hospitality – Food Safety Level 1’. Our canteen also affords the upskilling in areas such as menu planning, financial management, online shopping and meal preparation in a safe and supportive environment. Our work experience program offers opportunity to learn new skills and understand how a workplace operates in a supported and safe setting. 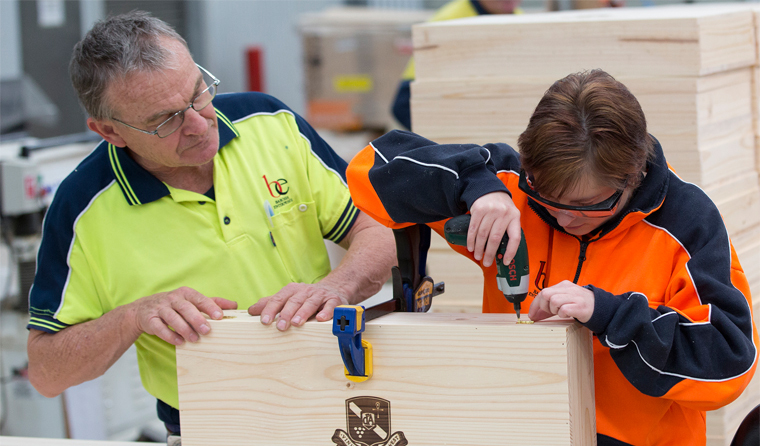 Work experience can include school students, or people who would like to return to the workforce. Work experience can be flexible from 1 day a week through to several weeks at a time, depending on each individual’s needs. We can assist and support you in these areas through Individual Development Plans and ensuring you are working in a safe and supported environment. Flexibility in work hours and days also support your personal development to attend activities outside the workplace, which are important for developing and maintaining life skills. If you would like further information on Supported Employment or Work experience opportunities please contact Sue Day 8562 4855.